This is AMAZING. It’s actually too good, I ate far too much of it this time while photographing! 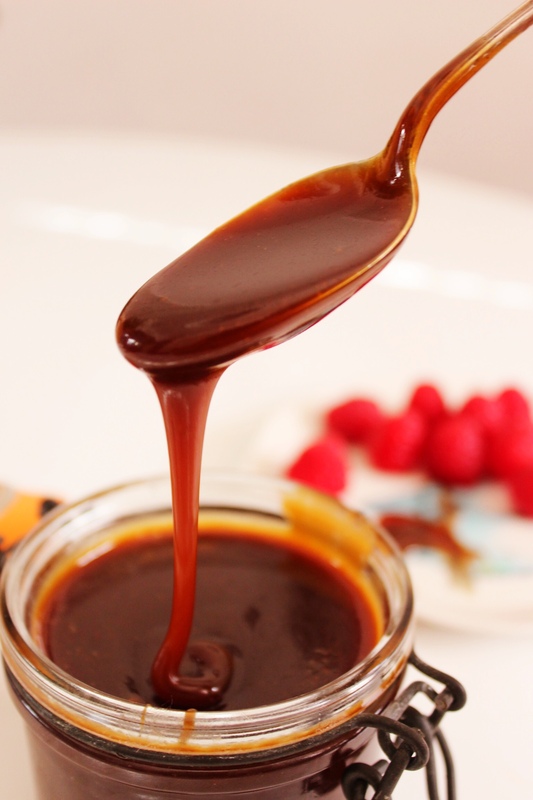 It’s so decadent, gorgeously thick and perfectly sticky and will take any dessert to a whole new level. One of my favourite ways to have it is just with some greek yoghurt and it’s great for dipping fruit in but it’s insanely good if you use it to make my Salted Caramel & Pine Nut Ice Cream. If you don’t have time, just buy some dairy free ice cream (nobó is my favourite!) and drizzle it on top! Scoop the coconut cream from the top of the cold can of coconut milk, don’t use any of the coconut water. Add 1/2 a cup of it to a pot on medium heat with the coconut oil. Let it all melt together, then pour it into a bowl and set aside. Add the water and coconut sugar to the pot and cook on medium heat, stirring gently until all of the sugar is dissolved. Carefully stir in the coconut mixture and allow it to bubble into a rolling boil (adjust heat if needed). 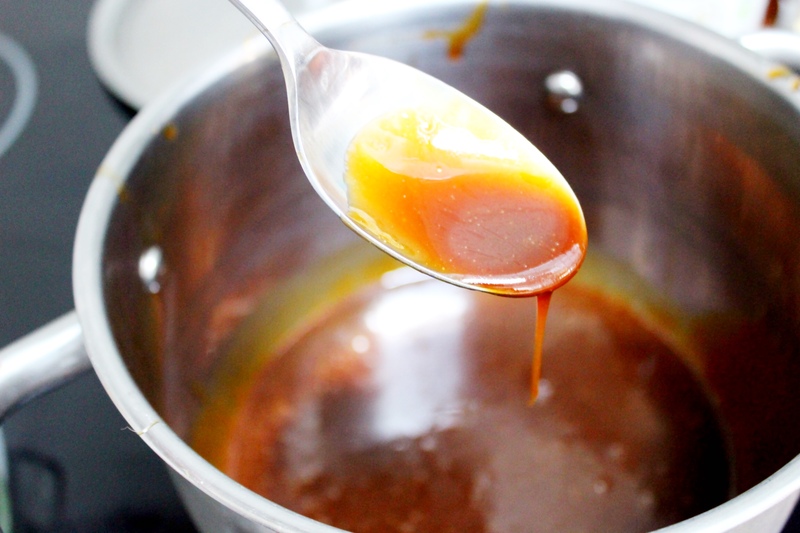 Let it bubble and simmer, stirring frequently, for 8-10 minutes. When it’s your desired thickness, stir in a good pinch of coarse salt and then take it off the heat. I let mine bubble away for about 10 minutes so it was really thick! It will thicken quite a bit more as it cools. 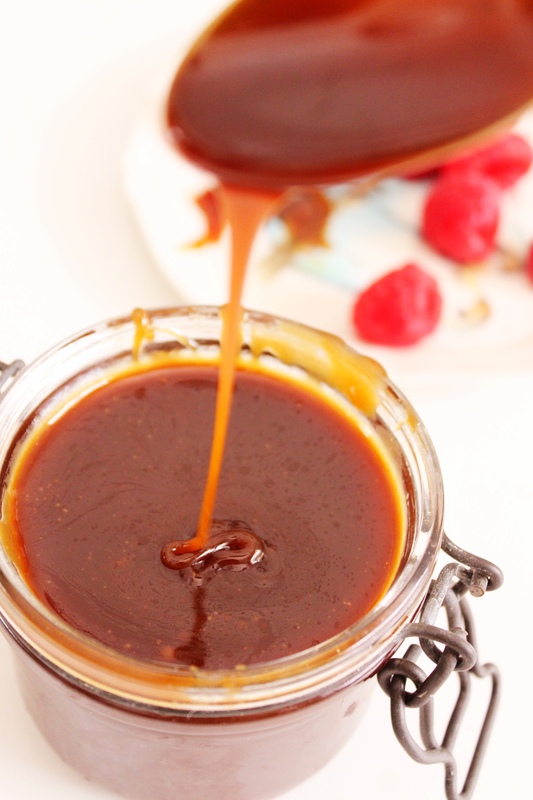 I want to try this caramel sauce at the weekend. How do you store it and how long will it keep for? I store mine in a glass jar, it should keep in the fridge for about 2 weeks!